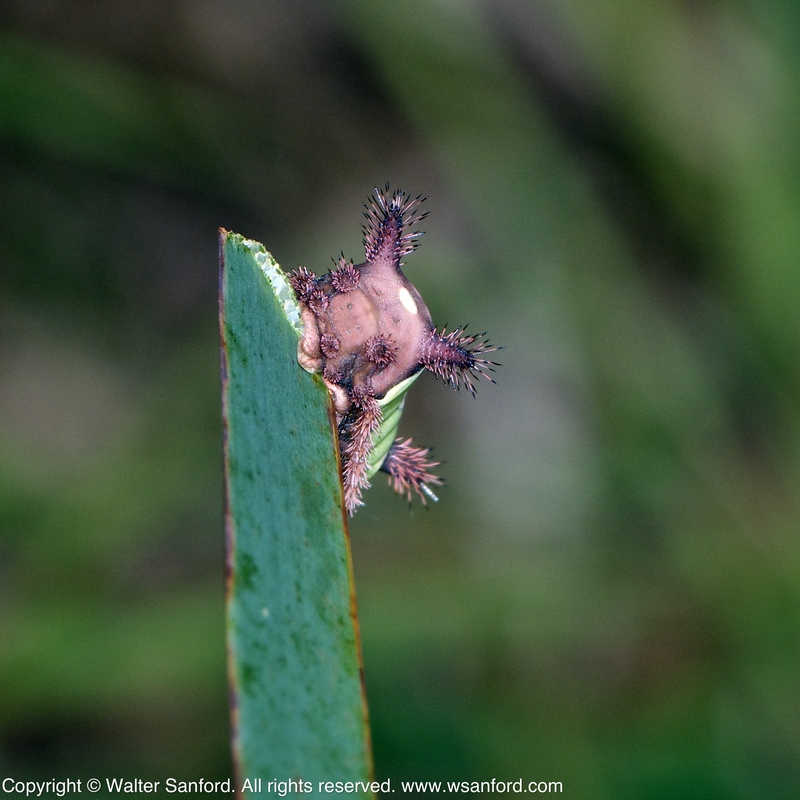 The following photographs show several Saddleback Caterpillar Moths (Acharia stimulea), a.k.a. “slug caterpillars,” spotted along the boardwalk in the central wetland area at Huntley Meadows Park on 30 September 2013. 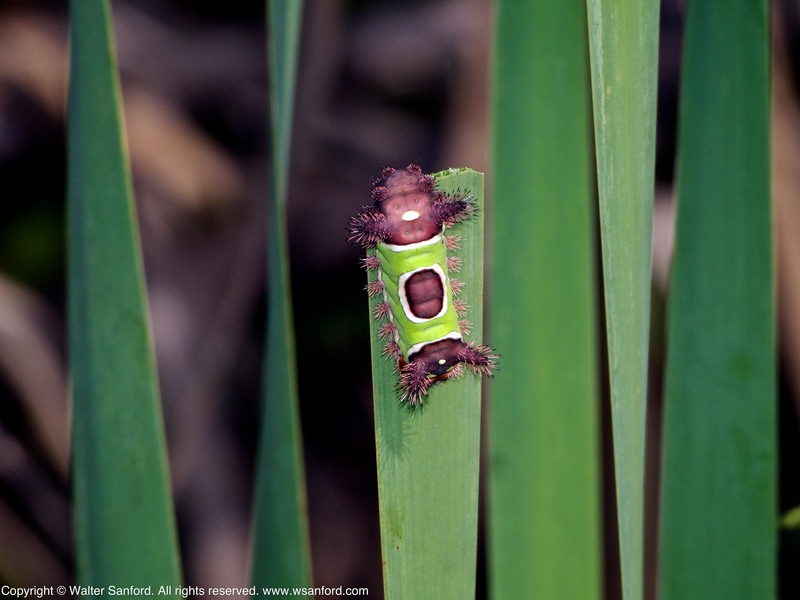 The saddleback caterpillar, Acharia stimulea (formerly Sibene stimulea), is the larva of a species of moth native to eastern North America. The species belongs to the family of slug caterpillars, Limacodidae. Source Credit: BugGuide. 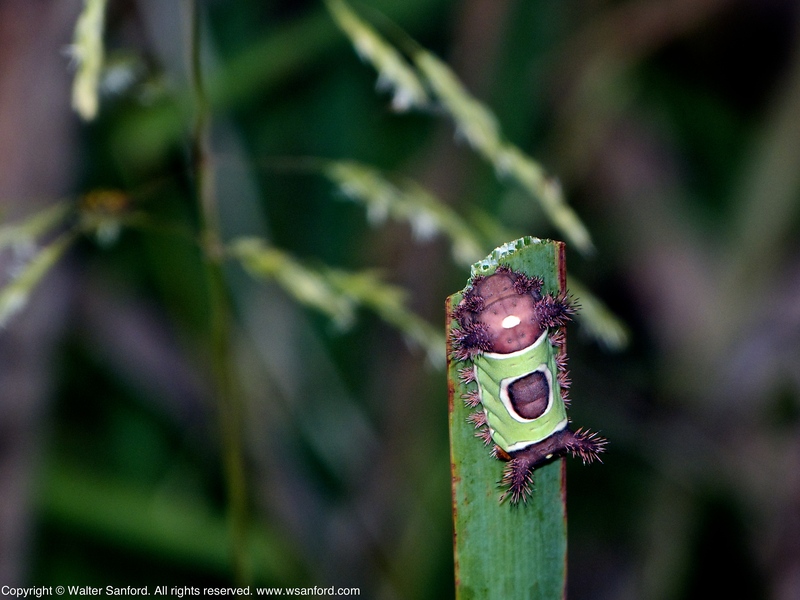 The preceding photograph shows a Saddleback Caterpillar Moth (Acharia stimulea), a.k.a. 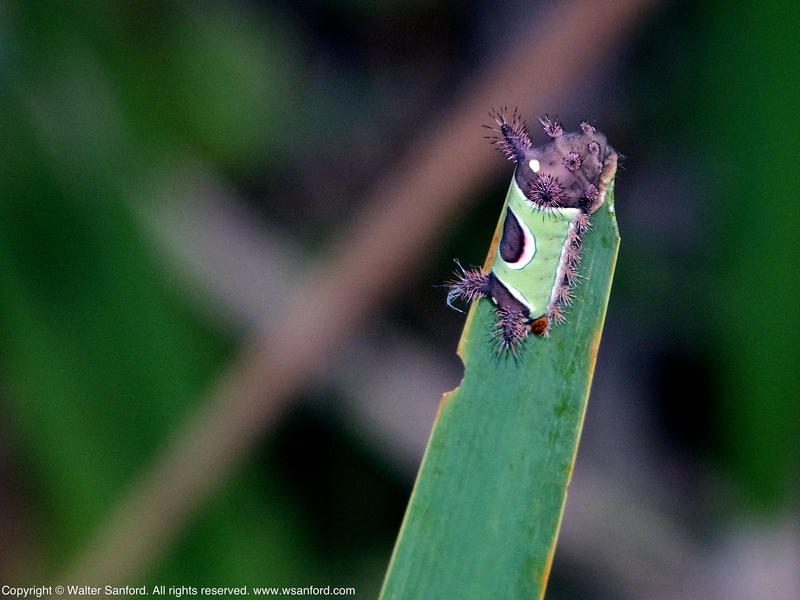 “slug caterpillar,” spotted along the boardwalk in the central wetland area at Huntley Meadows Park on 27 September 2013. Saddleback caterpillars remind me of Ewoks! More conventional thinkers see them differently. The brown spot [dorsal side] looks like a saddle, and the green area looks like a saddle blanket; hence, the common name. Source Credit: Stinging and Venomous Caterpillars. Special thanks to Dr. Edward Eder, a gifted amateur naturalist and photographer, for introducing the caterpillar to me and for answering my follow-up question months later, “Which end is up?” The head is at the top (relative to the photo), according to Ed.